Good design is the best marketing. It’s true. Every now and then a business comes along that is simply so beautifully designed that suddenly it’s hard to resist becoming suddenly interested in what it was selling, even if you couldn’t have cared less previously. Sumiyoshido, a shop and clinic in Tokyo specialising in traditional Asian therapies including acupuncture, is one such business. 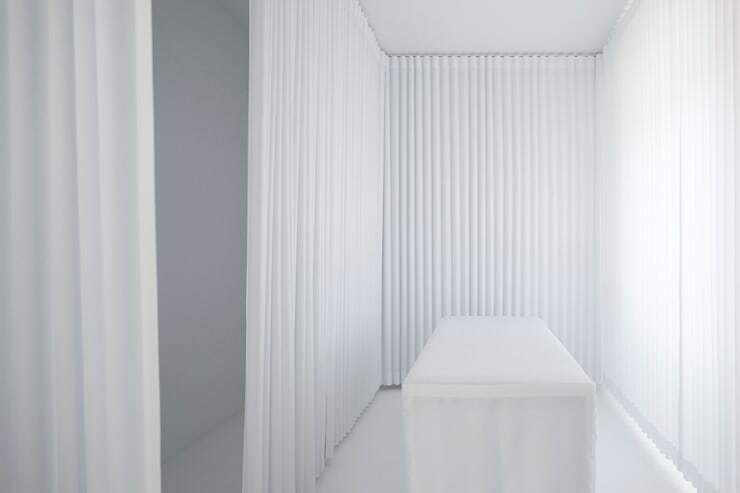 Whether you feel positively or negatively about these kinds of therapies is irrelevant; it would be impossible to walk past this place without at least pausing to admire its uniquely intriguing interior. Exactly what makes it so special? Well, read on to find out. 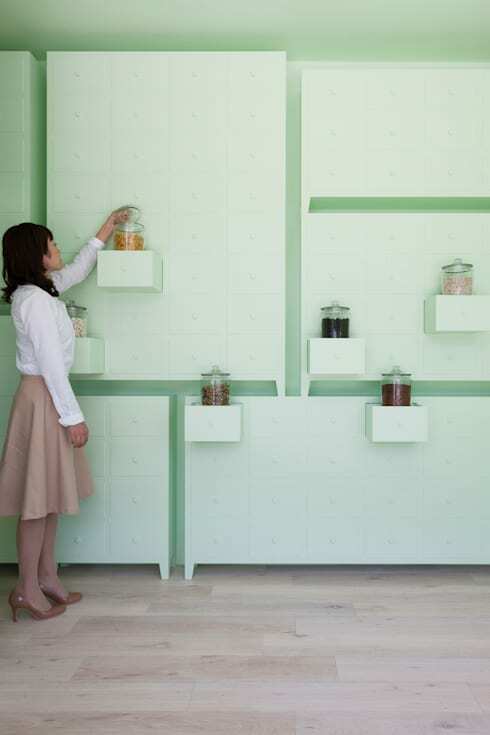 The entire wall, almost from the floor to the ceiling, is made up of chests of drawers in varying dimensions. Altogether, there must be several hundred drawers here. They can all slide out to reveal their contents or to act as display stands for gorgeous glass jars of interesting and unknown substances in various colours. 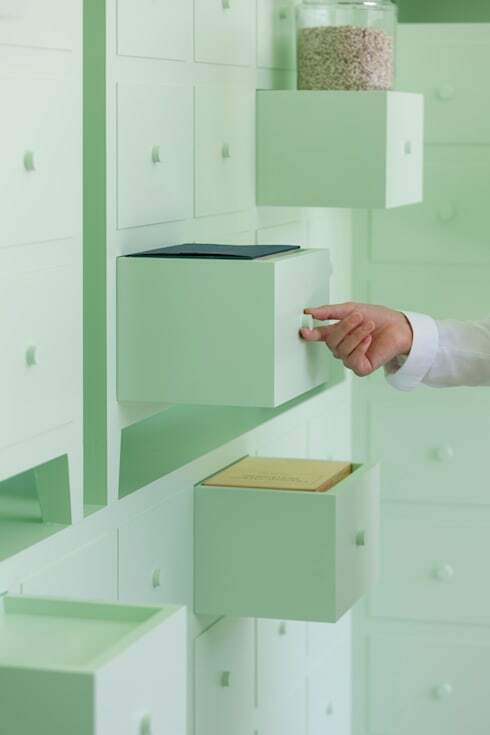 All the drawers are painted a very light shade of mint green, so that the line between each one is barely perceptible; only the gap between chests can be easily seen. The overwhelming prominence of a single colour results in a slightly surreal atmosphere. 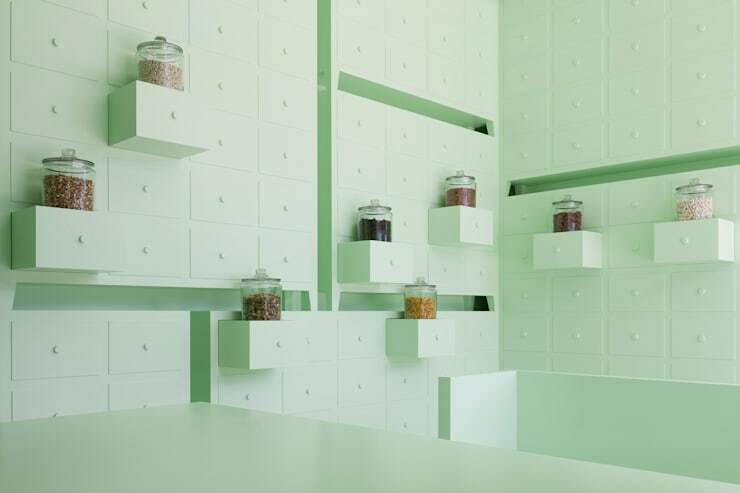 It is actually very unusual to be in an environment that is so consistently one colour – especially when the colour is mint green. The drawers give up their secrets. When consulting with the doctor, the patient sits on – what else? 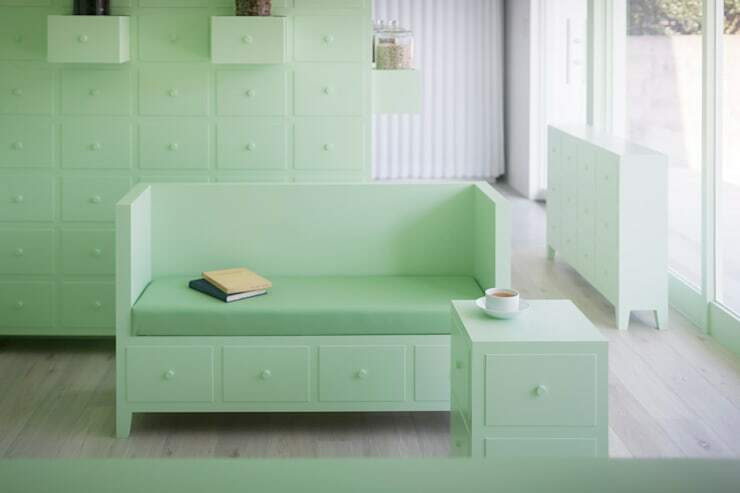 – a mint green sofa, while the doctor is positioned behind a mint green desk that is in fact a chest of drawers, with another chest of drawers hanging from the ceiling overhead. Geometry is everything here, and straight lines and sharp edges are central to the look. The rigid squareness of the place as a whole could easily have been so harsh as to seem intimidating; but the soft, comfortingly babyish shade of paint chosen as the leading colour has the effect of mitigating that severity. In the practice room itself, mint green has been traded for white. Lots and lots of white. But the thorough commitment to purity, simplicity and straightforward shapes is every bit as apparent here as it is anywhere else. The difference in colour between these two areas denotes the end of the waiting area and the beginning of the shop itself. 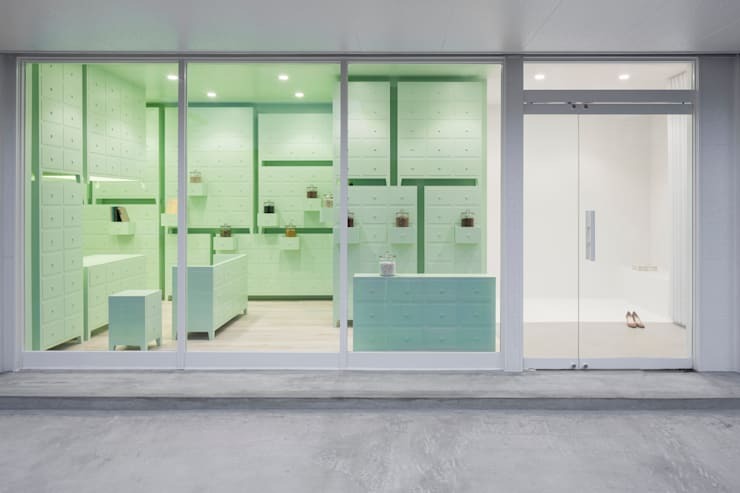 Notice how completely unembellished the waiting area is; if the shop itself is minimalist in its design, this takes things to another level. Even the doorway into the next room is a plain rectangle without a single unnecessary frill. This practice certainly looks impressive from any angle you might happen to catch it from. But this has to be the most impressive way of all to view it: by night, from the street outside, when the fascinating contents of its interior are temptingly illuminated and there’s not a soul in sight to spoil its perfect geometry – just a lonely pair of shoes, on the right, if you look closely. Share your thoughts on this design here!